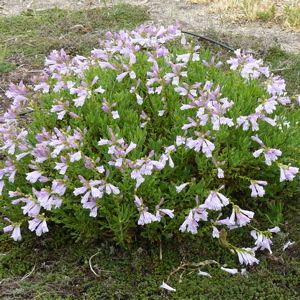 Shrubby Penstemon is an unusual woody, upright, evergreen penstemon with abundant lavender tubular flowers in early summer. Foliage turns soft yellow in autumn with purple-green flower spikelets. Height x Width: 12-16 in. x 8-12 in. We are now accepting debit/credit cards. Owned and managed by Draggin' Wing Farm LLC • Original site crafted by CFDS p.